Save AED 0 (0%) Earn 40 Shukrans What is Shukran? Shukran is the Landmark Group’s award-winning loyalty programme in the Middle East, which allows you to earn Shukrans when you shop any of our brands. 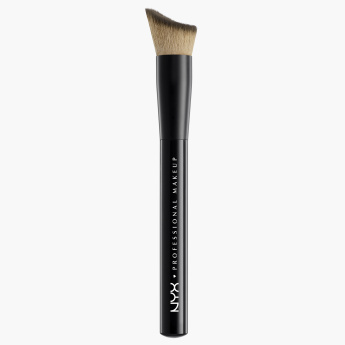 Take your complexion from flat to fierce using this foundation brush that is designed to blend foundation beautifully. The ultra-soft and flexible bristles of the brush reach every part of your gorgeous face. This angled synthetic brush curves inward slightly, which allows it to fit around the natural curves of the face and in those hard-to-reach spots.